Located in the northeast of Vietnam, in Quang Ninh Province, Halong Bay covers an area of 1,553 square km, including 1,969 islands. Halong’s islands are concentrated in 2 main areas – in the northeast (Bai Tu Long Bay) and the southwest (Halong Bay center). 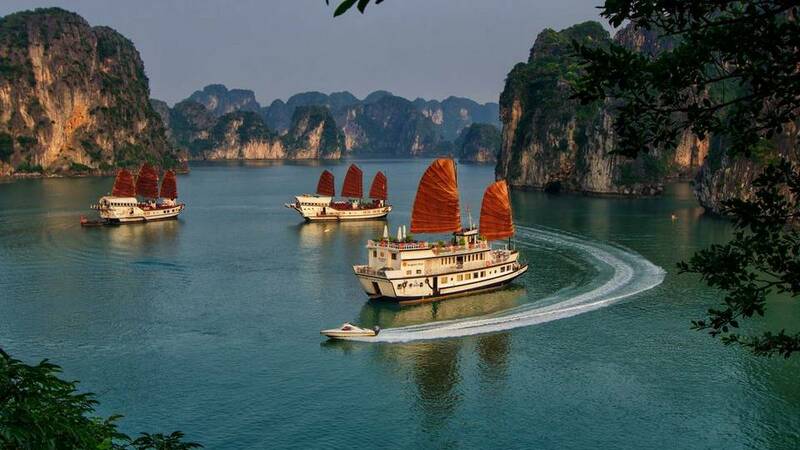 Halong is internationally famous, twice recognized as a World Natural Heritage Site by UNESCO, for the majestic beauty of the dense rocks and islands, and the natural caves. According to local legend ever since the first settlement of the country, Vietnam has been attacked from the sea. Knowing this, the Jade Emperor sent Mother Dragon and her child down to help the Vietnamese against the invaders. When enemy ships were approaching, the dragons flew down from the sky and spat countless pearls into the sea. These turned into a myriad of jade islands. They linked together to create a solid wall that blocked the approaching enemy ships which crashed into the rocks and were torn to pieces. After driving away the invaders, the Mother Dragon and her child were so charmed by the beauty of the bay that they decided to stay rather than returning to heaven. 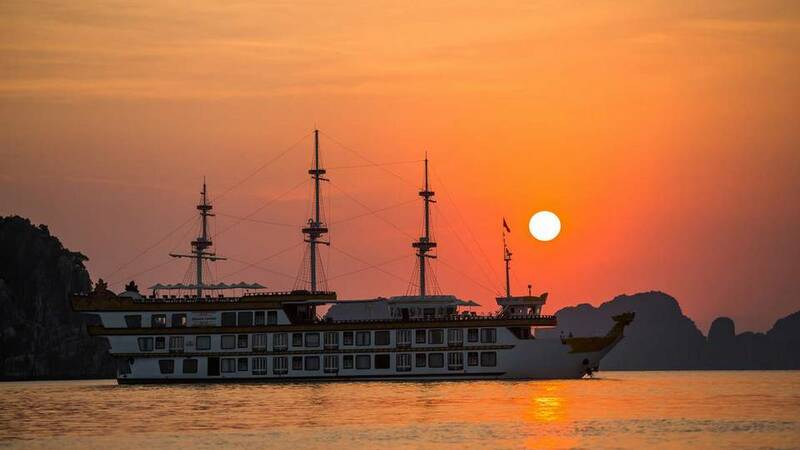 Where the Mother Dragon landed was called Halong, her child settled in Bai Tu Long Bay, and where their tails entwined is Bach Long Vi Island.